The Glenn Beck Review: Beck's Guest, David Barton, Wants to Build Walls? 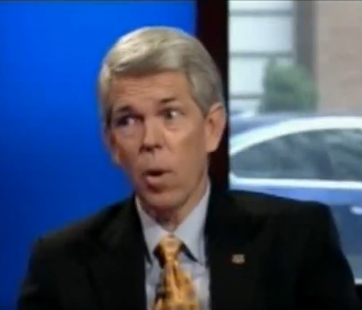 On Glenn Beck's Founders' Friday show on Fox, 6/24, his guest was David Barton, founder and president of Wallbuilders.com. Barton, according to his bio is "an expert in historical and constitutional issues and he serves as a consultant to state and federal legislators, has participated in several cases at the Supreme Court, was involved in the development of the History/Social Studies standards for states such as Texas and California, and has helped produce history textbooks now used in schools across the nation." However, for many Barton is a pseudo-historian. He received a BA from Oral Roberts U in religious education, and has no academic qualifications in history. For more on views of his grasp of history and the founders, see: "Defending the Wall: Maintaining the church/state separation in America" by Arlen Specter, "David Barton: Propaganda Masquerading as History" by People for the American Way and "Dissecting the Religious Right's Favorite Bible Curriculum" by Americans United for Separation of Church and State. In Barton's The Myth of Separation, he argues that Christians were the ones who are intended to hold elected office, not Jews or any other sect! According to the First Amendment Studies based in Massachusettes, Barton was listed in promotional literature as a speaker at a 1991 retreat in Colorado sponsored by Scriptures for America, a reactionary Christian Identity ministry headed by Pastor Pete Peters. Barton's Wallbuilders.com is also interesting. The goals of Wallbuilders is "to exert a direct and positive influence in government, education, and the family by (1) educating the nation concerning the Godly foundation of our country; (2) providing information to federal, state, and local officials as they develop public policies which reflect Biblical values; and (3) encouraging Christians to be involved in the civic arena." He wants to have government develop policies that have Biblical values, and the name of his organization is Wall Builders. The goal of Wall Builders is to tear down the wall between church and state. OK. The problem with any "history" written by Barton is the same as the "history" that is conveyed by Beck: it is cherry-picked to emphasize his reactionary, uber-religious understanding of the past. Beck pointed out during the program that "There's always been racism and there always will be." 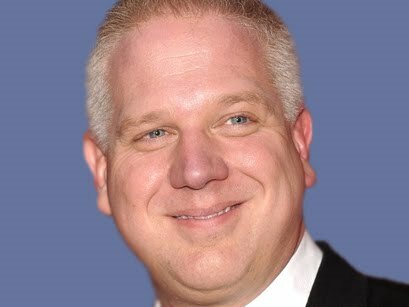 I guess for someone aiming to refound our country on it original principles, which included the ownership of slaves in the South, it's not surprising that Beck would believe that racism "will always be" with us. 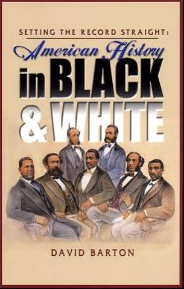 Beck, of course, is also holding his Restoring Honor rally on August 28th, to reclaim the civil rights movement away from the rightful holders of it, black people.